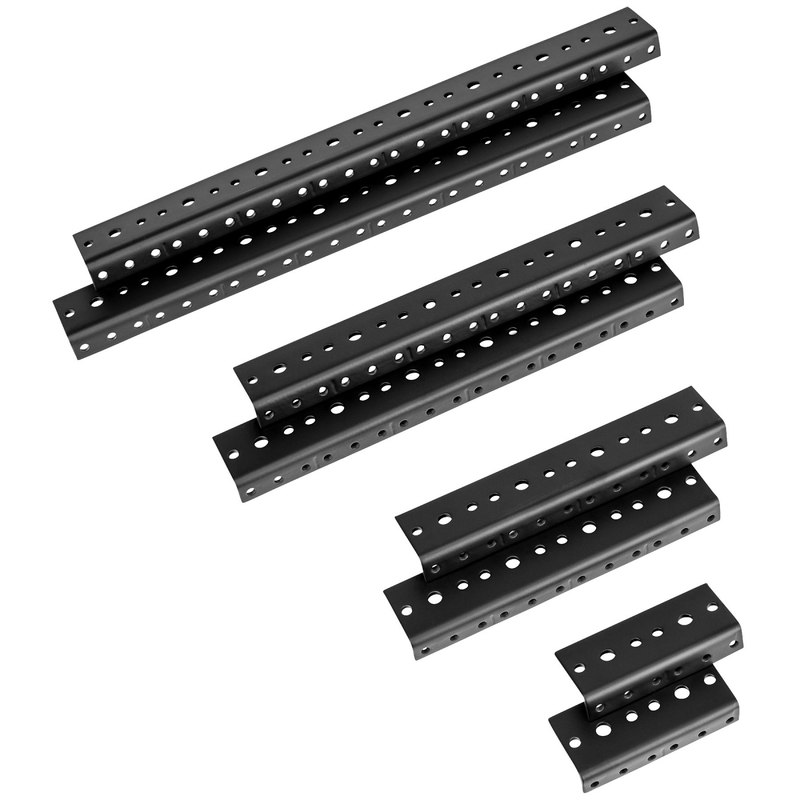 Penn Elcom Full-Hole Rack Rail Pair | 8 Space (8U) | 14"
Penn Elcom Rack Rail Pair | 8 Space (8U) | 14"
Penn Elcom R0828/08 8 Space Full-Hole Rack Rail Pair 8U 14"
Penn Elcom rack rail in pre-cut, standard 8 space (8U) rack length. Perfect for building your own rack cabinet. 1/8" thick heavy duty steel rail with tapped #10-32 holes. Black powder coat finish. Standard rack 1/2" and 1-1/4" o.c. alignment. 14" in length. Sold in pairs.